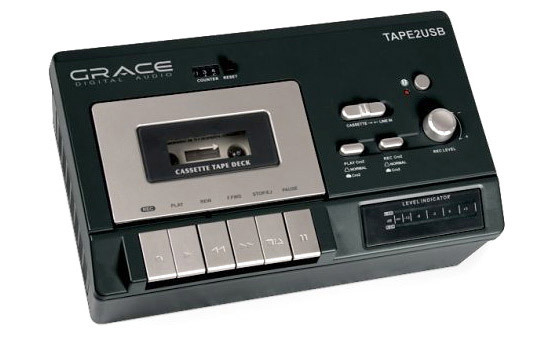 If you have a large collection of old cassette tapes, then you may need one of these Grace Tape2USB cassette tape converters to bring you collection up to date and convert it onto your PC or Mac. This Retro looking cassette tape converter connects to your PC or Mac via USB, and will convert your favourite cassette collection into MP3 or WAV files. The Grace Tape2USB is available for $129.99 from Grace Digital Audio.